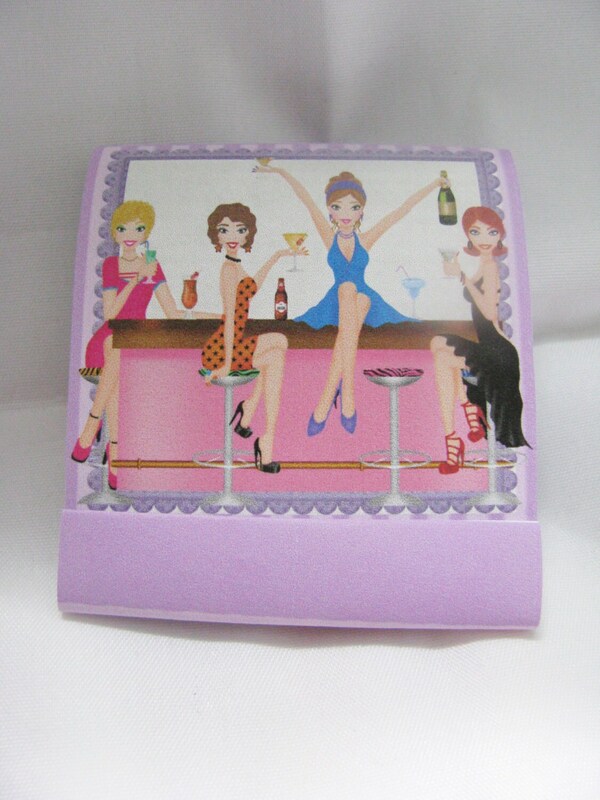 Bachelorette Party Favors & Bachelorette Party Gifts- mini nail files for your bride tribe! Personalized Bachelorette Party Favors - Bachelorette Party Favor - Bachelorette Party mini nail files- custom designs for a great party! 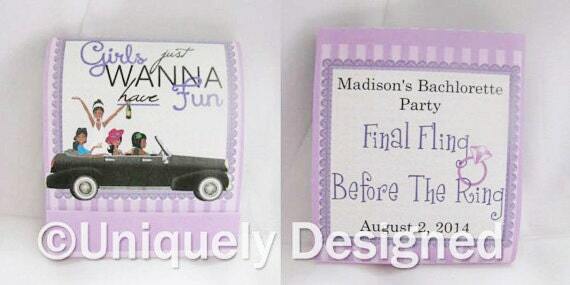 Your guest will love these cute and practical, personalized nail file favors. Each nail file favor measures approximately 2.5" wide and 2.75" tall. 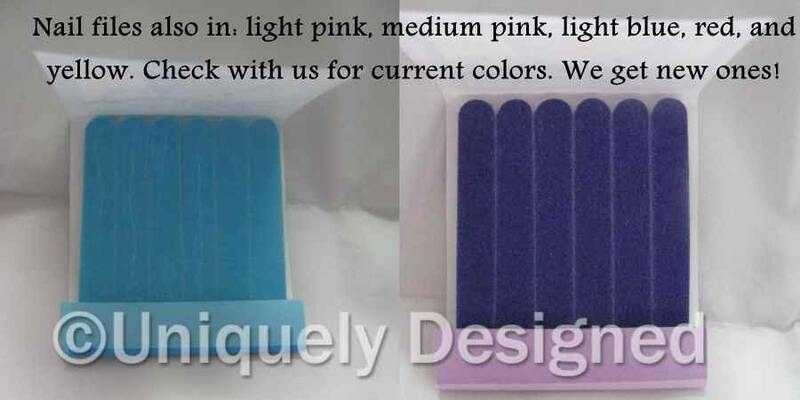 Inside each nail file favor you will find 6 individual nail files. Outside cover made from glossy card stock. Picture shows front and back side. Plastic sleeve to protect set. Bachelorette parties are so much fun! 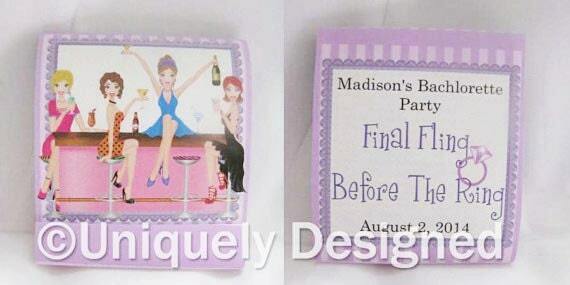 Why not have a keepsake for each girl to remember the fun night for a while? These great mini nail files are perfect party favors! 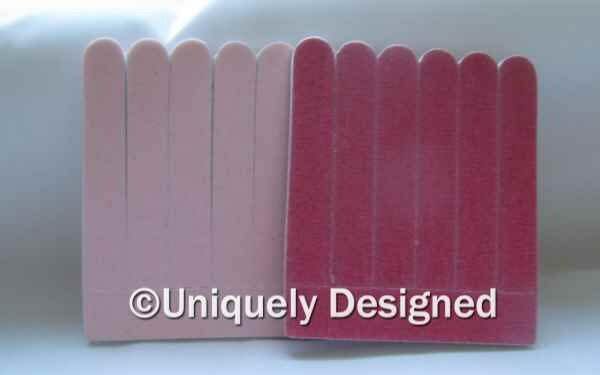 Order your nail files today! We also ship these to Canada, the U.K. and Australia (as well as other countries. Please convo me with the amount and country you live in. And I'll convo the shipping amount to you!